The Bible we have in front of us today is the EXACT Bible we are “supposed” to have. I am aware that this is a statement of faith, and I'm ok with that. I know many groups who, like us, are pushing into “new” areas of thought regarding God, their faith, and what it all means. This is good. This is what it’s all about. At the same time, many of these groups are finding support for their new thoughts by finding ways to discount particular portions of scripture. There are countless ways to do this, and it is certainly not my point to explain why each one of these “ways” is wrong. Instead, I simply want to state a couple perspectives. 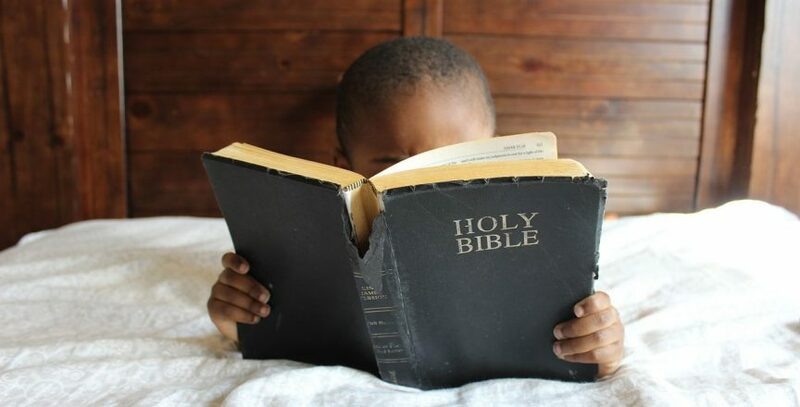 II Timothy 3:16-17 - "16 All Scripture is inspired by God and profitable for teaching, for reproof, for correction, for training in righteousness; 17 so that the man of God may be adequate, equipped for every good work." What strikes me as interesting about this argument is that I don't see this verse as saying it is 'error-free'. In my mind, there is a big difference between being factually perfect and divinely inspired. "Factually Accurate (inerrant)" is about the natural events and their physical manifestation in time. Did Moses actually lead the Israelites out of Egypt, historically? Did Jesus really die, or just fake his death? Was Jesus a real man at all? While I believe the large majority of scripture is factually accurate, I also have to admit when there are small (or large discrepancies) in the book itself. All you have do is google "bible errors" or "bible discrepancies" and you'll see what I mean. I believe the scriptures truly are INSPIRED, and that the best lens to see this through is the lens of typology. We have every story, every proverb, every prophecy, and every teaching we NEED. Allegories, prophecies, embellishments, and errors in all. If we need something to become "inspired", it's in there. SIDE NOTE: People often state that the Bible never says of itself that it is inerrant. While that is true, it is also a logically infantile argument. If you believe the book is perfect, it doesn’t have to tell you it’s perfect for you to believe it. On the other hand, if you believe the book has flaws in it, what good would it do for this “flawed” book to “tell you” that it’s perfect. You wouldn’t believe it. Because you already don’t believe it. It is your BELIEF about the book that matters. Not what it says. Not how well you can prove your point. It truly is a matter of FAITH. The entire Bible is centered around a group of people known as the Israelites. Why? Seems kind of weird that this one little group of people holds the answers for the redemption of the entire universe doesn’t it? This is because the Father chose the TELL A STORY through this group. NOT because they are “special” or “chosen” or “better” in any way. Their entire story… EVERY PART of it… is an allegory to show us a deeper truth. Even in their own messed-up misconceptions of God known as “the first covenant”, the recorded accounts that we have in our Bible are there ON PURPOSE. Every one. Because of this, each word is deeper on MULTIPLE levels. Each word was put there by the Holy Spirit. NO accidents. NO man-made “opinions”. Perfect. Once again, when it comes to the historical accuracy of the scriptures… I believe they are accurate, but I’m not overly concerned about “proving” it. I don’t really waste a lot of time looking at the scriptures for their surface level/natural/physical accuracy. It can certainly be useful to understand the actual historical context when it comes to gaining the deeper perspectives that I value so much, but I don’t find it a point of contention that I have to resolve with people who think differently than me. My focus is 100% on the typological, inspired meaning hidden in the pages. Interesting enough, people seem to like to fight about this particular issue more than anything else regarding scripture. The flood. The stories of Daniel, Joseph, the 12 tribes, etc. People love to debate how accurate and factual everything really is, all the while missing the deeper reason that those stories are even in there. So something did or didn’t actually happen “exactly that way”. SO WHAT!?!? Why is it in there, and what does it MEAN? That’s all I really look for. Historical Journey of "The Bible"
Have you ever heard of the Council of Nicea, the Council of Trent, the Latin Vulgate or the Apocrypha? Suffice to say that Jesus didn't leave instructions for creating the Bible before He left. As a matter of fact, the Bible you have in front of you these days wasn't officially called "The Bible" until over 500 years AFTER Christ. 500 years!!! That's over twice as long as the United States has existed! Think about that. For 500 years the Church grew and matured WITHOUT a defined Bible. And yet, the way people spiritually slaughter each other over it today, you would think Jesus was the one who gave it to us. I know that there are a lot of questions surrounding the process that brought us our “bible” as we have it today. Fallen men. Corrupt councils. Lost or rejected books. Edits. Miss-translations. Different books in different denominations. And the list goes on. I get it. I really do. That’s why I made my first two points. It MUST ultimately come down to what you BELIEVE about the Bible. If you try to build your trust in the “bible” based on an intellectual argument, you will either lose the argument and start finding flaws in the book, or you will short-circuit your logic and lie to yourself somewhere along the way. No HONEST look at the material facts of the Bible leaves a person feeling “better” about it… trust me. It comes down to faith. And mine says that it is exactly what we need in front of us at this time in history. Think about this for a second... If the Holy Spirit can’t even guide a book through history, why on earth would I trust Him to guide my LIFE? In the end, these 3 perspectives have brought me to the conclusion that the Bible we have is the Bible we need (for our time). This perspective has always served me well, especially when it comes to finding deeper truths buried between the lines. All appearances of “internal disagreement” are opportunities for us to dig DEEPER. Yes, there are MANY instances where the same story is told two different ways. Yes, there are many conflicting concepts of who God is and what He is “saying”. The question is… Do you see that as proof of a “mistake”, or do you see that as an “X” marking the spot where a treasure is buried? Your belief about the book will determine your reaction to these things. If you think the book has some flaws, why on earth would you dig deeper? Every time you find one of these discrepancies, you would simply dismiss it as one author's viewpoint, and move on. On the other hand, if you didn't see the Bible as 66 separate books, but as one continuous INSPIRED book, written by one author, you would see each discrepancy as an opportunity to learn something you didn't previously know. And this, my friend, is exactly what has happened in my life. I have matured in my understanding of everything because I have a foundational belief that the Bible I NEED is the Bible I have. A little known discrepancy that has enormous implications is the account of when David decided to take a census even though God had previously told him not to. For those who don't know, the Old Testament is NOT in chronological order. Additionally, many of the stories and details we recorded in multiple books. This example is one of those stories. It appears in BOTH the book of 2nd Samuel and 1st Chronicles. II Samuel 24:1 - "1Now again the anger of the LORD burned against Israel, and it incited David against them to say, 'Go, number Israel and Judah.'" I Chronicles 21:1 - "1Then Satan stood up against Israel and moved David to number Israel." Satan moved David to take a census in Chronicles, but the Lord incited David to take a census in Samuel. Which one is right? I actually heard a preacher a few years ago use this very scripture as proof that the Bible is not inerrant. It was at the beginning of a long list of ideas that he said the Old Testament had that were made up by men. His point was that Jesus is the Word of God, not the Bible. And while I agree with his point, my next question becomes... At what point do you stop using the Bible as a source of truth? The moment you find something that you don't think makes sense, you throw it out? At some point, when these same people try to use the Bible as proof of their beliefs, all someone has to say is that they believe that portion of scripture has errors in it, and the discussion is over. OMG! How do they not see the logic of this slippery slope? Point being... When I heard this sermon I immediately wanted to jump out of my seat and say, "This isn't a mess up in scripture! This is amazing proof that 'Satan' isn't a being! It's a position that someone steps into." I wanted to say this, but I knew it would require too much explanation and it's wasn't the point of his message. Still... "The Lord" became Israel's "opponent" in 2 Samuel. That's all that the word "Satan" means. Literally... there is a set of scriptures that, when you put them together, place God in the position of "Satan". How crazy is that? So... do you read this and concluded (as that pastor did) that the Bible is full of mistakes? Or do you refuse to believe that this is a mistake and allow the discrepancy to drive you deeper into truth? This ONE PASSAGE is enough to cause someone to completely revamp their understanding of Satan. But it requires a belief in the power of the book BEFORE you will be INSPIRED to dig deeper. This is why the Bible speaks to me and through me the way it does, and I hope this article has inspired you to see this amazing book the same way I do. AWESOME!!! LOVE this/your logical train of thought, Austin! !